Beth Lambert is the author of A Compromised Generation: The Epidemic of Chronic Illness in America’s Children (Sentient Publications, 2010). www.acompromisedgeneration.com. Lambert is a former healthcare consultant and teacher who attended Oxford University, Williams College and holds a Masters degree in American Studies from Fairfield University. She is the Executive Director of Epidemic Answers, a 501c3 nonprofit organization dedicated to educating the public about the epidemic of chronic illness affecting our youth, and helping parents connect with other parents and appropriate healthcare providers (www.epidemicanswers.org). Lambert is also the mother of three children and lives in Connecticut. 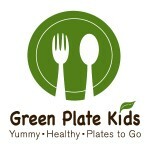 Green Plate Kids offers fresh, healthy, convenient and kid-friendly meals for your children and family. 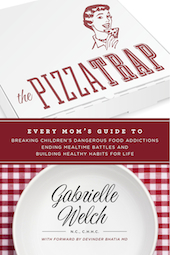 Our menu is designed by a registered dietitian and trained chef and is kid-tested and approved. We use organic and locally-sourced products as much as possible. Green Plate Kids is a great alternative for busy parents, saving you the time and the hassle of shopping and cooking so you can spend more time with what matters most, your family. We offer home delivery, pick-up, Retail Sales at Smart Meals, school lunch programs, family meals complete with sides and event catering for children and adults. We have many gluten free and vegetarian menu items. Please visit our website for more information, including detailed menu items, ingredients, nutrition labels and allergen information. One Green Street is an organic lifestyle destination. Based in Houston, TX, One Green Street will be Houston’s first LEED certified retailer and is a Certified B Corporation, that specializes and focuses on providing customers with a positive shopping experience while educating them about socially responsible choices. The store carries an assortment of upcycled, vintage, fair trade and organic fashion and accessories for men, women, pets and home. One Green Street’s commitment to the environment includes recycling, vehicle share programs and a future commitment to offset for shipping carbon footprint. The Rawfully Organic Co-op is a completely non-profit co-operative that focuses on feeding communities organic, raw, fresh, and local produce at wholesale prices and in abundance. We are a community of individuals and families that come together to share in seasonal foods and to work together to create a better balance of peace and harmony for all. It’s for everyone, and it is helped run by everyone. Over 2200 members in the Houston area. www.rawfullyorganic.com. Recipe for Success Foundation is dedicated to combating childhood obesity by changing the way our children understand, appreciate and eat their food, and by educating and mobilizing the community to provide healthier diets for children.We have developed a comprehensive experiential learning program that makes healthy food fun, and we work to make healthy food available to a broader community. Three Branches Healthy Living is founded on the idea that pure, clean living is the key to great health and quality of life. It exists to get crucial information out to the public while offering the best and purest home and body products on the market, ranging from whole-food supplements and skin care to air/water purifiers and Infrared saunas. Three Branches looks at both the diet and the environment when assessing ways to live a clean, and therefore healthy, lifestyle. The three founders, Marilee, Kelly and Allison understand the ill effects that toxins have on our health and have witnessed first hand the rejuvenation that comes from their removal. 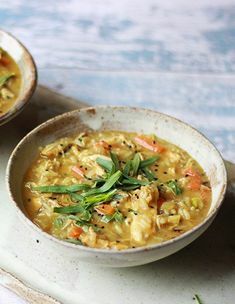 They believe in the body’s unparalleled ability to repair itself and will work with you to uncover potential blocks to healing found in our environment and diet in order to facilitate this innate process. So visit Three Branches where you’ll find daily blog posts, information-packed articles and the highest-quality home and body products that will significantly change your health for the better! Enjoy better whole-house and drinking water with high quality water softening, conditioning and purification systems from Wheeling Water Works in Houston, Texas. Wheeling Water Works has over 25 years of experience in installation and service to back their manufacturers’ proven, top-of-the-line products. Because they’re family owned and operated, you can always talk to an owner whose only job is to make sure you are taken care of. They are a “GE PLATINUM DEALER” and a “Gold Star” member of the Better Business Bureau with a sterling reputation and track record.